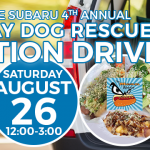 Your Metro Detroit Chevy Dealers Are Proud To Present: FUNDAY SUNDAY! Take me out to the ball game, take me out with the crowd, buy me some peanuts and crackerjacks…. Join us as LaFontaine Chevrolet Dexter would like present FUNDAY SUNDAY at Jimmy John’s Field! 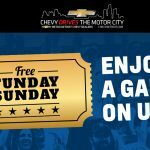 Since July 9th and lasting throughout the season, your Metro Detroit Chevy Dealers are offering free General … [Read more...] about Your Metro Detroit Chevy Dealers Are Proud To Present: FUNDAY SUNDAY! Your Metro Detroit Chevy Dealers Present Scout Night At Jimmy John’s Field! Your Metro Detroit Chevy Dealers Present Scout Night at Jimmy John’s Field! 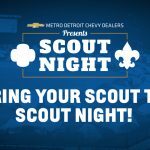 Metro Detroit Chevy Dealers and United Shore Professional Baseball League are excited to present Scout Night! 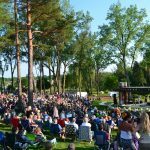 On Saturday, August 12th bring your Scout for an evening full of FREE entertainment and activities after the … [Read more...] about Your Metro Detroit Chevy Dealers Present Scout Night At Jimmy John’s Field!